If your business is like many others, you’re already thinking about how to capitalize on the efficiency and performance of serverless platforms. You’re also wondering the best ways to use the time and money which otherwise would’ve been squandered maintaining a physical server. Whether you’re interested in migrating to serverless or have already deployed your app in a serverless environment, there’s plenty to learn about how serverless can benefit your business. If you don’t know where to start, educating yourself about serverless platforms may seem daunting. A lot in the serverless ecosystem is changing at a rapid rate, and trying to stay informed can leave you in a whirlwind. We pulled together a great list of resources to help you stay up-to-date on all things serverless. Check it out! Built around the slogan of “Teaching the World to Cloud,” A Cloud Guru offers some of the most cutting-edge courses on serverless around. They estimate a whopping 600,000 engineers have taken their courses, providing them with high demand skills in cloud computing. Starter courses on AWS, Google Cloud, and Azure are offered, as well as more advanced classes. An authoritative source of serverless news and updates for more than 12,000 developers, Serverless Blog is precisely what it sounds like. Their newsletters can be a crucial source of information on the latest serverless trends and their relevance for your business. Dominant in the serverless world since its initial release in 2014, keeping up to date on AWS is essential. You can’t go wrong with their official Amazon blog, where you’ll find helpful news, resources, and updates. Offering some of the clearest posts on serverless development, here’s a great place to get started if you don’t know where to begin. You’ll find readable posts about the potential benefits to your business, as well as information about serverless trends and lots of useful tips. Offering serverless news and analysis, ServerlessOps is also in the business of serverless consulting and training. In addition to their blog posts, there’s also a helpful Serverless DevOps video series which is definitely worth checking out. With 360 episodes and counting, The Cloudcast is highly rated award-winning podcast hosted by Aaron Delp and Brian Gracely dedicated to cloud computing. With weekly episodes averaging about 30 minutes each, it’s certainly worth a listen during your commute. Offering an honest take on the serverless world, you’ll learn lots of compelling reasons why serverless may or may not be the best choice for your company. Episodes are free and full of useful information that you’ll be able to immediately put into practice. 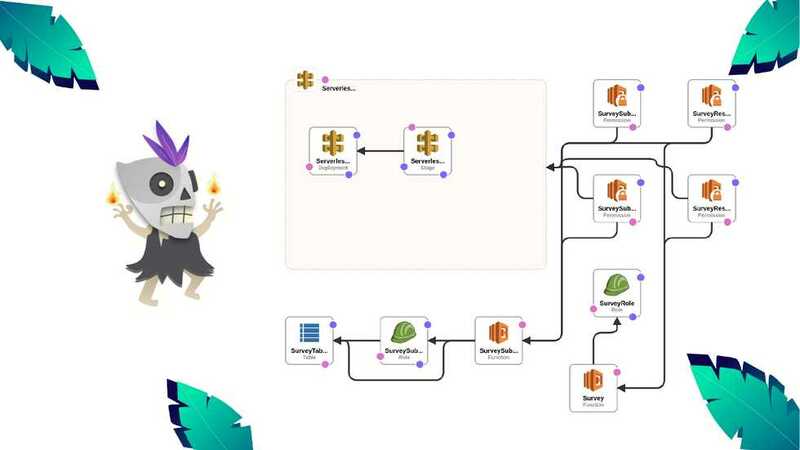 A cloud architect and expert in automation solutions for AWS, Brazeal is a key figure in the serverless community. Currently an architect at Trek10, he is responsible for some of the earliest serverless AWS apps. He also offers a serverless course on A Cloud Guru. An entrepreneur and software engineer based in Oakland, Collins founded the open source Serverless Framework. One of the leading experts on AWS Lambda, Collins is a leading voice for communicating the potential of serverless to developers and businesses. A specialist in the intersection of strategy and new technologies, Wardley is an accomplished executive with decades of experience developing IT strategies for the future. One of his areas of expertise is cloud computing, and it’s always worth listening to his prescient input. The CTO of AlertMe and a developer of more than 20 years, Daly is obsessed with serverless and busy with a number of influential serverless projects. His weekly newsletters are a popular way of staying up to date with the latest serverless news. The head of development at A Cloud Guru, McKim is one of the most passionate voices in the serverless community. Based in Australia, McKim frequently writes on AWS, serverless, and software development among other topics. As you can see, there’s no shortage of resources out there to help you follow the serverless ecosystem; each one is a valuable source. Serverless platforms will introduce new skills for DevOps teams to acquire and new challenges to overcome.